An exhibition celebrates nine artists who’ve traveled an unconventional path. Work Over School sheds new light on the idea of the self-taught artist by examining the work of nine established and emerging artists who have developed great conceptual and technical skill through nontraditional means. Combining their training in other professional fields with their own artistic investigations, these artists produce a dynamic range of works in painting, metal, sculpture, and ceramics that embody a reverence for materials and commitment to process and technique. Curated by independent curator jill moniz. This year’s Diverted Destruction, the seventh iteration of Liz Gordon’s passion for the beauty of the process and outcome of recycling, brings together an eclectic group of artists from the greater LA area and beyond. Co-curated with jill moniz, DD7’s theme concentrates on the multiple perspectives of reusing ephemera. moniz pushed the boundaries of the exhibition guidelines, including works that repurpose paper in addition to the strictly recycled ephemera. CSULB art professor Todd Gray reimagines his past to create a new conversation between the work he produced as Michael Jackson’s official photographer and the images he captures in his second homeland of Ghana, on the Sub-Saharan African coast. While LA based artist Joe Davidson is focused on the practice of recycling his literal past: old financial statements and moniz’s healthcare statements, and letting the reduced paper pulp speak for itself. TM Gratkowski, Doug Pearsall and Dana Bean juxtapose issues of urbanity with sometimes playful and always meaningful interpretations of the confluence of art and life. Pearsall collages Trader Joe’s bags, creating an entirely unique aesthetic sustenance. Bean uses popular periodicals to translate the angst of city living with a focus on LA’s landscape. Gratkowski’s three dimensional chandelier exposes newsprint in a whole new light, while his 2D images have all the tension and beauty of modern life found in the pages of his favorite newspapers, magazines and books. Mike Saijo deconstructs books from the bindings, but never from their meaning. His work recaptures icons of art and architecture, with a focus on how we read and contextualize visual culture. As a visitor to LA and elsewhere, the U.K’s Crystal Fischetti uses tourist detritus to document and reframe these destinations with a concentration on feeling rather than reality. Dramatist and visual artist Shriram Jogheng (India) offers up works of bold color, graceful form and impassioned movement. His approach is self-described as Einsteinism as applied to arts, demonstrating the interrelationship between theater and painting. Finally, in the project room Philadelphia artist Cheryl Levin expands an idea born from scraps of metal found in her husband Bob Phillips’ studio, Phillips Metal. After his unexpected death, Levin married these shapes with her own former artistic explorations on paper. She reimagines this union in various media, once again stretching the multiple levels on which artists are able to creatively illustrate the concept of diverted. All the work in DD7 intensifies to the ongoing, important dialog about reusing materials in the environment that would otherwise go to landfills. The contributing artists and the curators believe in both the necessity and aesthetic value of such work. This year, on opening night, an artists’ panel will allow for a larger conversation about these issues and launch the celebration of Diverted Destruction in a new way. Our annual Diverted Destruction artist’s workshop (7.19.14) is free and open to the public. This year’s workshop will focus on specifically on paper media. 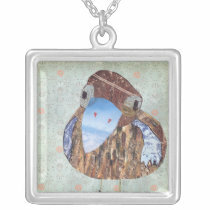 My online store has just been selected for Artsprojekt on Zazzle! 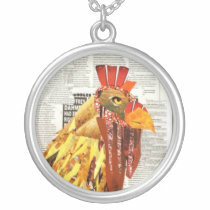 Check out my Zazzle store for unique merchandise. You all motivated me to set up my online shops. For high quality archival prints, framed prints, or even canvas prints, visit my store at Image Kind. 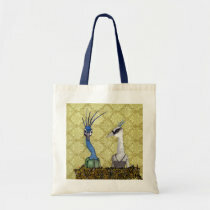 Buy adorable, one of a kind merchandise featuring my original designs, check out my shop at Zazzle. For those who can’t afford Coachella (or just don’t get the point of standing in the broiling desert heat staring at the back of people’s heads), The Ahimsa Collective presents BROKECHELLA!!! Three stages of music, comedy, variety acts, performances, art for sale, drinks, food trucks, and FREE otter pops, all for just $5 at The Airliner in downtown LA! I’ll be there with art for sale. Don’t miss this totally awesome (and super affordable) event! Airliner, 2419 N. Broadway, LA 90031, 8pm. Pre-sale tickets are gone, but you can buy your tickets at the door. Just $5! Arrive early because this event will sell out. For more info, visit: http://ahimsacollective.com/brokechella.php.